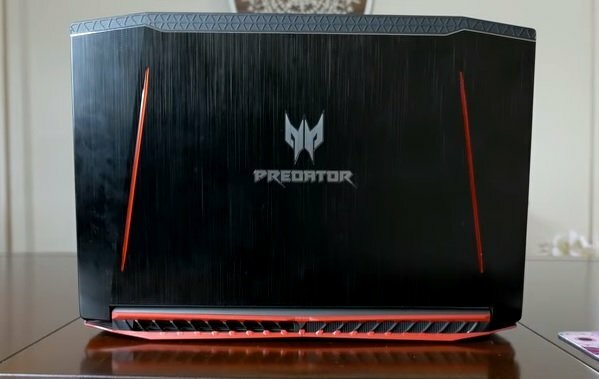 Today we’re taking a look at the Acer Predator Helios 300 gaming notebook that comes in at the shockingly low price of $1050 here in the United States. You may recognize this notebook as the one featured recently in my coverage from PAX West and the gear vlog I produced from Seattle. Acer was kind enough to provide the Helios 300 out to help me edit my videos during that work trip and I was completely blown away with its performance in working with 4k video files and some gaming back at the hotel room so I definitely wanted to get out a full review for you guys on it. As far as the specs are concerned on the Helios 300 in this configuration, its sporting an Intel i7 7700HQ at 2.8GHz, 16GB of RAM, a 6GB GTX 1060 AND a 256GB m.2 boot drive. So not bad at all for a notebook under $1100. Acer does offer a configuration with a 1TB mechanical drive in addition to the 256GB SSD, but you’re going to end up paying $350 more for that version. And considering how easy it was for me to install my own 1TB SSD that only costs $285, it’s hard to recommend going for the higher priced option. You’d be much better off going with the version I have for $1050 and installing a 2.5 inch SSD or mechanical drive yourself and save some money. On the backside of the laptop there are two doors that can open up, one for adding in an extra drive like I mentioned, while the other is for the system memory, which ships with 16GB, but can be upgraded to 32GB if you like. As far as the design goes on this notebook I was mostly pleased with it. The brushed aluminum certainly gives it a premium feel and in no way feels cheap. It does have all your typical red accents throughout to remind that it is a gaming notebook, just in case you forgot. Besides the rear exhaust port the only other area that’s plastic is a slim honey comb pattern on the back of the display. The panel on here is a full HD, 1080p IPS panel so colors were accurate and vibrant. Playing games on it looked fantastic, but I do wish the screen was a little bit brighter if I were to nitpick. It is also 60hz and no G-Sync support, but that’s really what you should expect at this price point and I was fine with it honestly when you consider how affordable it is with the great specs. For connectivity on the left side we get a kensington lock, ethernet jack, USB 3.1 type C, full size HDMI, USB 3.0 and an SD card slot. The SD slot by the way is very fast and was able to transfer 4k files from my 95MB/s lexar pro cards at the full rated write speed. Switching over to the right side there isn’t as much going on, we just have the power plug for charging, dual USB 2.0 ports and lastly a headphone/microphone combo jack. So a decent amount of connection options, but one more USB 3 port would have been welcomed. I’ve recently been using my wireless Logitech g603 with a small dongle plugged in and I love it, review coming on that soon. 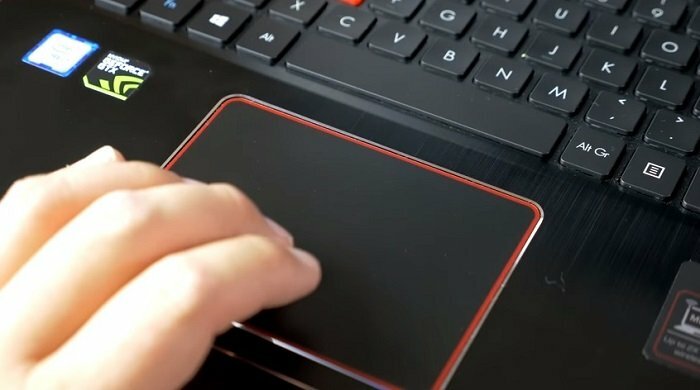 The keyboard and touchpad are just okay. The keys themselves are pretty standard for what you’d expect on a notebook. They require 79 grams of force to actuate which is heavier than I would personally prefer and it did take some getting used to. Another thing worth noting is the layout of the arrow keys that are kind of squished together and don’t really have enough spacing, especially with the shift key that I found myself hitting accidentally. The touchpad is adequate, although I tend to hook up a dedicated mouse 99% of the time unless I’m using it on the sofa. The beveled edge gives it nice separation from the brushed aluminum deck. Using it felt responsive though for surfing the web and gestures perform good too if you want to take advantage of that. Acer actually included some pretty decent speakers here too. I’m usually a full time headphone user, but the speakers were surprisingly good. The sound coming from the speakers which face downward filled the room when listening to music. Consuming media on Youtube and watching movies was also enjoyable and playing games like Rainbow Six Siege and PUB-G gave decent positional audio for notebook speakers. The battery on here is on the smaller side at 48 Watts, but gave decent performance. Running the battery eater test it managed to stay up and running for 7 hours and 13 minutes which is great. If you’re planning to game or render video you can expect that to come down a fair bit, but for web browsing it shouldn’t have you searching for a power outlet during a work day or in class if you want this for school. So with all of that out of the way how does this thing actually perform? Starting off with temps I ran Aida64 for good while and the CPU temperature settled around 83-85 degrees celsius which is really impressive. 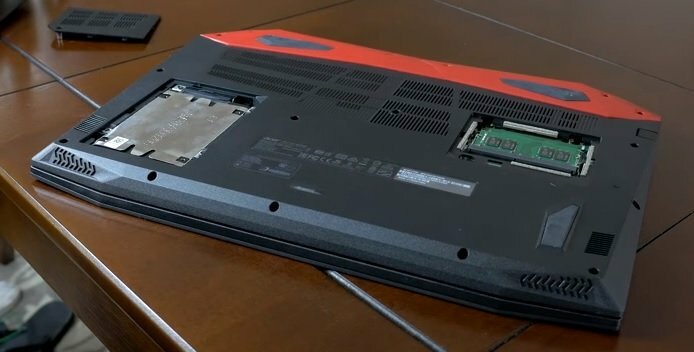 Most gaming laptops I test with much bigger chassis and ventilation will hit 90-100C almost instantly on Aida64 and can present issues of thermal throttling in CPU intensive games. That was not the case at all on the Helios 300 so I really have to commend Acer for doing an excellent job on the cooling. I know to the normal desktop user, over 80 degrees may sound high, but trust me when i tell you that for a notebook this is pretty amazing. The GTX 1060 also stayed cool as well around 70 degrees which is pretty standard since Pascal is rather energy efficient and tends to run cool even in a small enclosure like this. With gaming performance the GTX 1060 performed very well at 1080p even on the ultra preset that I used in all the games tested on the latest driver from Nvidia, 385.41. Overwatch, Rainbow Six Siege and Rising Storm 2 ran like butter and never went below 60fps. In more demanding titles like Ghost Recon Wildlands and PUB-G you would probably want to drop down to high settings, but both games were still very playable at ultra. 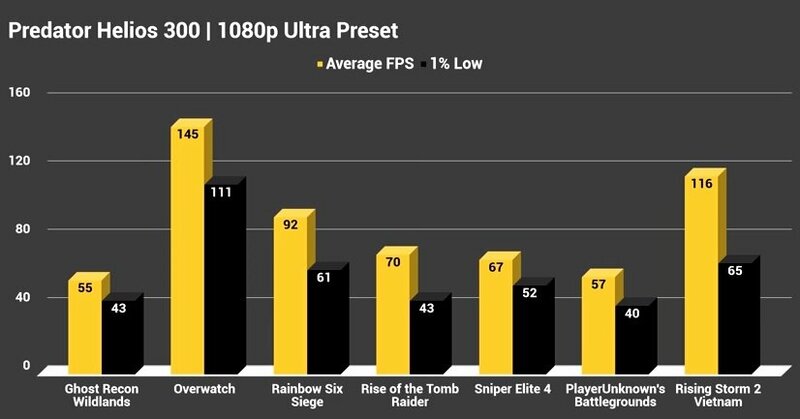 If you’re looking to play any competitive FPS games or MOBAs you shouldn’t worry about being able to pull off 60 frames per second in any game out there, its just the less optimized games that are a concern at ultra. I also tested Sony Vegas on a 5-minute 4k render with two video tracks and 3 audio tracks. It took a total of 41 minutes to render out the video which is great for a notebook. If you’re looking to just do 1080p video then it should be significantly faster, but I work with 4k footage and even for that it wasn’t an issue scrubbing through the timeline without any delay or slowdown. 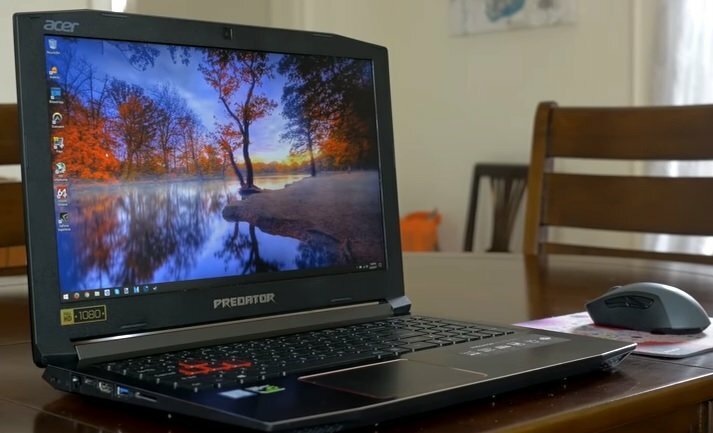 So at the end of the day I can wholeheartedly recommend the Predator Helios 300 notebook for gamers on the go or anyone that needs a bit more power for multi-threaded workloads like video editing. At $1050 it really is amazing to see the specs Acer was able to cram in here at that price because it can do what much more expensive laptops can at a reduced cost. If you pick up this configuration I would certainly factor in the cost of a mechanical hard drive or SSD as the 256GB will fill up fast especially if you’re installing games, but that wouldn’t hold me back at all from pulling the trigger on it.